New Order returned with Music Complete in 2015, but it seems the band's ongoing feud with former bassist Peter Hook is far from over. Following years of public squabbling after the band reunited without Hook in 2011, the founding four-stringer is suing the current band members for £2.3 million ($4.6 million CAD) in royalties. As reported by the BBC, Hook is accusing Bernard Sumner and Stephen and Gillian Morris of not giving him his fair share of New Order-related royalties since the group started a new company in 2011. After the collapse of Factory Records in 1992, New Order created a company called Vitalturn to manage the band's rights. And while Hook owns 25 percent of Vitalturn, the three other members started a new company called New Order Ltd. in 2011, which was given exclusive rights to New Order's name and income for 10 years. 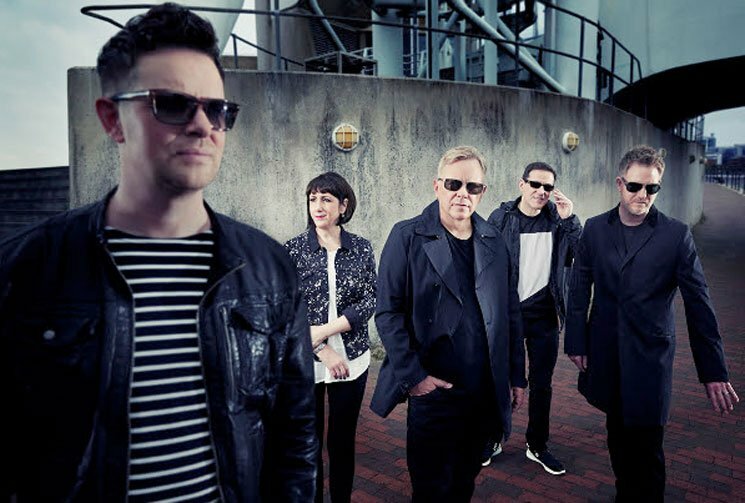 New Order Ltd. has earned £7.8 million in the last four years, with Hook receiving 1.25 percent of the band's royalties; he is suing in hopes of getting up to 12.5 percent. "It was as though George Harrison and Ringo Starr had got together at George's house one Friday night and had acted together to divest Paul McCartney of his shareholding in the Beatles, and didn't tell Yoko about it either," said Hook's lawyer, Mark Wyeth, at a High Court hearing. He continued to say that the lawsuit was not over personality clashes or musical differences, but "about wrongdoers taking control of a company and stripping it of its property." Representing Sumner, Morris and Morris, David Casement told the judge that Hook's claims were "completely misconceived" and that he was either attempting to prevent his former bandmates from future success or attempting to rejoin the band. The judge rejected the idea that Hook's "true motive was to get back into the band or spite the defendants, who are pursuing their careers successfully with the use of the name when he is not able to participate." That dismissal gives Hook the ability to take the case to a full trial. The remaining members of New Order are currently promoting Music Complete, while Hook has been performing New Order music live under the moniker Peter Hook & the Light. Speaking to Exclaim! earlier this year about New Order's latest record, Stephen Morris addressed the change in the band since Hook's departure. "Unconsciously, it did make us work in a different way because we were working with Tom and we weren't working with Peter," he said. "So we'd go about things in a different way. Just that fact, really, made it different. It changed, but it didn't make it any more difficult or easier. I think it definitely contributed to us concentrating on the music and trying harder." While a ruling in the case is pending, you can relive happier times in the band's history by reading our Essential Guide to New Order. UPDATE (12/01, 11:30 a.m.): New Order have now responded to Hook's lawsuit in a new statement, which you can read below. Obviously the band are disappointed that Peter is pursuing this claim in this particular way. The reports so far take a number of things out of context. Peter still, for instance, receives his full share of all back catalogue royalties. This dispute relates only to the share of income he takes from our work without him since 2011. Not much more we can say as nothing has been decided by the Court on the facts other than he has a right to proceed with the claim, so this matter is still in play. We're getting on with life and concentrating on touring and promoting our new album.